Banned abroad? Now it'll apply here, too | What Car? Drivers who commit offences while abroad in the UK, Ireland or Northern Ireland will no longer escape punishment, thanks to a new agreement. British, Irish and Northern Irish ministers met in Belfast to work out an agreement that should keep disqualified drivers off the road. In practice, it means that UK drivers who are disqualified for an offence in Ireland will no longer escape punishment when they return home. Similarly, any disqualification earned by Irish drivers when in the UK will be recognised and enforced on their return. The agreement is the first to be drawn up under the terms of the 1998 European Convention on driving disqualifications, and should be in place by next spring. The Convention covers six areas of driving behaviour, including reckless or dangerous driving, hit-and-run driving, driving under the influence of alcohol or drugs, speeding and driving while disqualified. 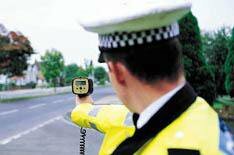 Now ministers are seriously looking at making the penalty points between the UK and Ireland mutually recognisable, although this will require legislation to complete.